The coffees were supplied by 9 different New Zealand Specialty Coffee Association members. “I was surprised how difficult it was to guess the origin. 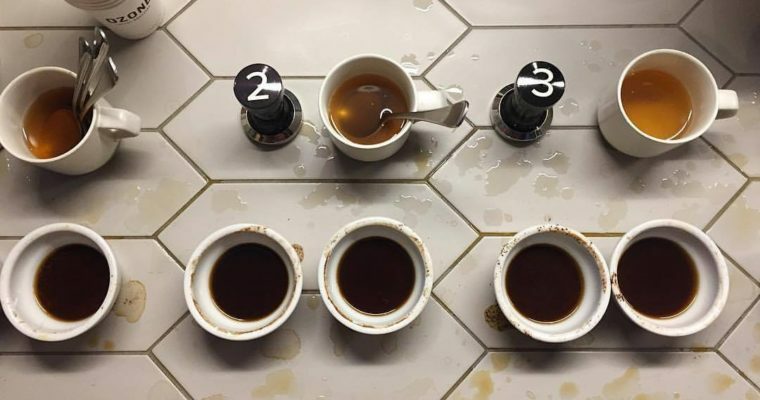 In the events that I hosted, around 20% of coffee professionals and 40% of non-industry attendees scored 0/9 when determining the coffee’s origin,” said Nico Refiti who organized the events and hosted in New Plymouth, Hamilton and Tauranga. “We did get some great feedback on the events, I think people appreciated tasting the coffees without the full branding associated with each roastery. The crowd favourite at both Hamilton and Tauranga was a delicious Ethiopian coffee roasted by Matt Sinclair at Firsthand Coffee Roasters in Napier,” he added. Many thanks again to all our hosts across the country and to the roasters who contributed their coffee for this event. We aim to run similar events in the future, email Nico if you would like to run or host an event.